1830s and known in the wild since the 1880s. 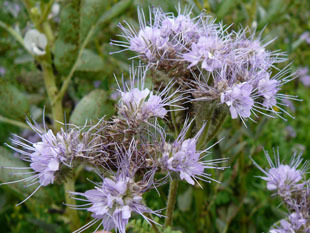 It is grown in gardens for its colour and to attract insects. 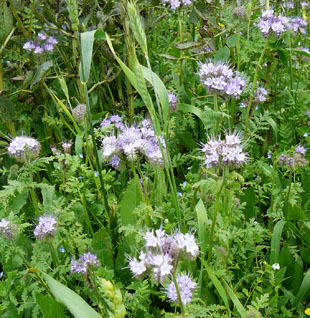 It is planted on a larger scale in fields as a green manure. 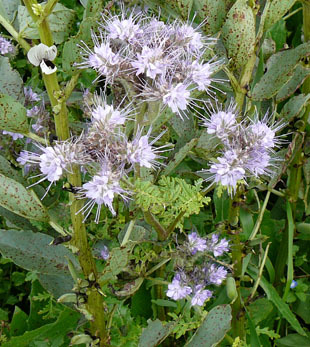 attract bees and hoverflies that feed on aphids. 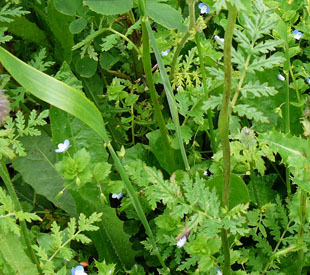 It is found in bird-seed and as a contaminant of grass-seed. Portland Bird Observatory to feed migrating birds. 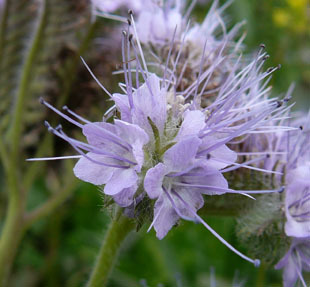 Phacelia is an annual, growing up to 1m. 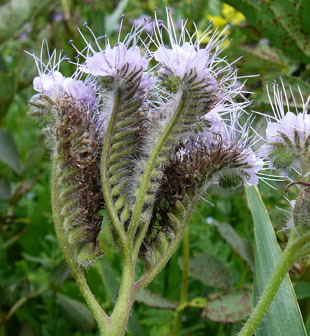 Flowers are in coiled spikes. petals, 5 long, mauve stamens and a long pale style. The calyx is very hairy. flowerheads a spiky, feathery appearance.